Topics: Whiteboard Wednesday, Rotary Friction Welding, Inertia Friction Welding, What is Friction Welding? Inertia friction welding is a variation of the rotary friction welding process. 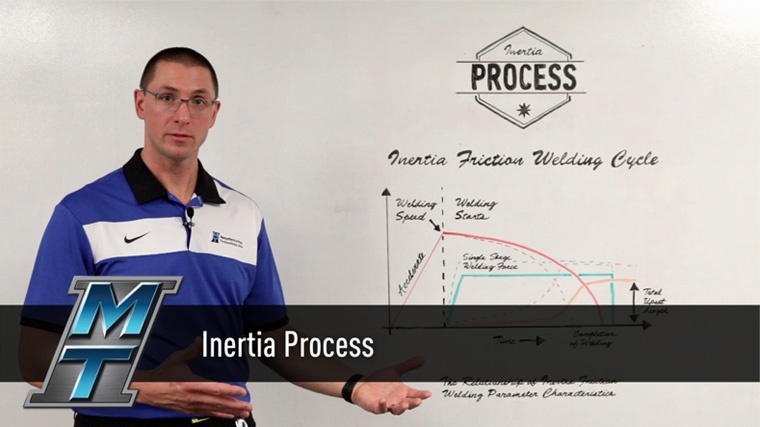 Inertia friction welding uses kinetic energy with applied force to join parts together. The kinetic energy is achieved by the use of flywheels, a set of heavy rotating wheels that are used to store rotational energy. Like all rotary friction welding, the process is started by rotating one part while the other stays stationary. With inertia friction welding, the flywheels are accelerated up to a desired speed that will provide the kinetic energy. Once the flywheels are up to speed, the motor is shut off and the flywheels coast, storing all of the kinetic energy. At this point the stationary part is forced into the rotating part. This is the forge force which controls the power input of the weld and is maintained throughout the entire process. This creates friction between the parts and results in heat at the weld line. When enough heat is created, the materials will begin to soften and will then begin to extrude and shorten. This is called upset. Upsetting happens when the parts start to bond and the softened materials are pushed out at the weld interface between the two surfaces. This will continue until all of the kinetic energy is used up, the rotation of the part stops, and the upsetting ends. When the rotation stops the weld is complete. The forge force is still maintained a little longer to allow the part to cool. Once this process is completed, the two original parts are now 100% bonded together creating a fully joined, solid state part. The time it takes to complete a weld from start to finish will vary depending on the power input placed upon the two parts. The power input is controlled by the forge force. To increase the power input, simply increase the forge force. This will increase the torque at the weld interface which will convert the kinetic energy into heat more quickly. The heat will have less time to dissipate so the weld upset will increase. Why do this? If the power input is varied, the same weld can be made either faster or slower, adjusting the mechanical properties of the weld. Depending on the part you are bonding and cycle time you desire, this may be important. At MTI, we specialize in engineering new solutions based on customer requests. 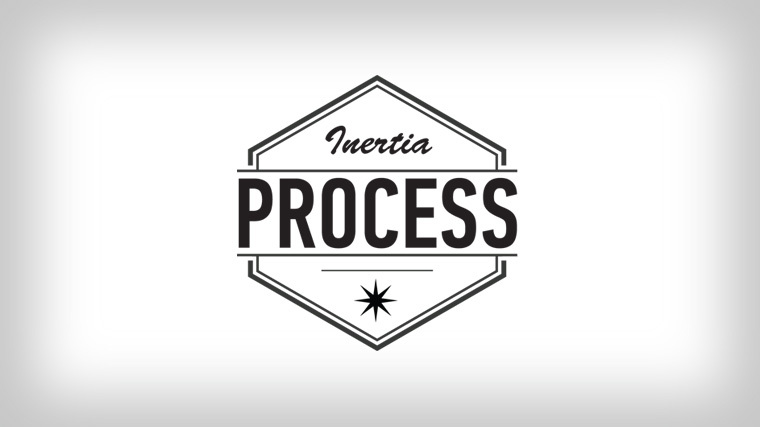 We want you to understand our processes because we know that they can help you. Whatever manufacturing issues you may be encountering, let MTI work together with you, to use our processes, to solve your problems. We’ll build a machine that makes your part, we’ll make the part for you, or we’ll help you make the part even better. Learn more about the MTI process or watch how friction welding can be put to work for you.